I'm SOOOO impressed with your ability to stamp a large image so perfectly! I seldom reach for my 'big stamps' because the results are um...blech!!! Your card is beautiful - gorgeous colors! I saw your DT card over at the challenge and had to come take a closer look. This is an amazing card, simply stunning! WOW, that must be a very large stamp if you can get 4 cards out of one stamped image! This card is fantastic! I love the mix of colors! You did an incredible job choosing them! Cyber hugs! This is lovely, Shirley! 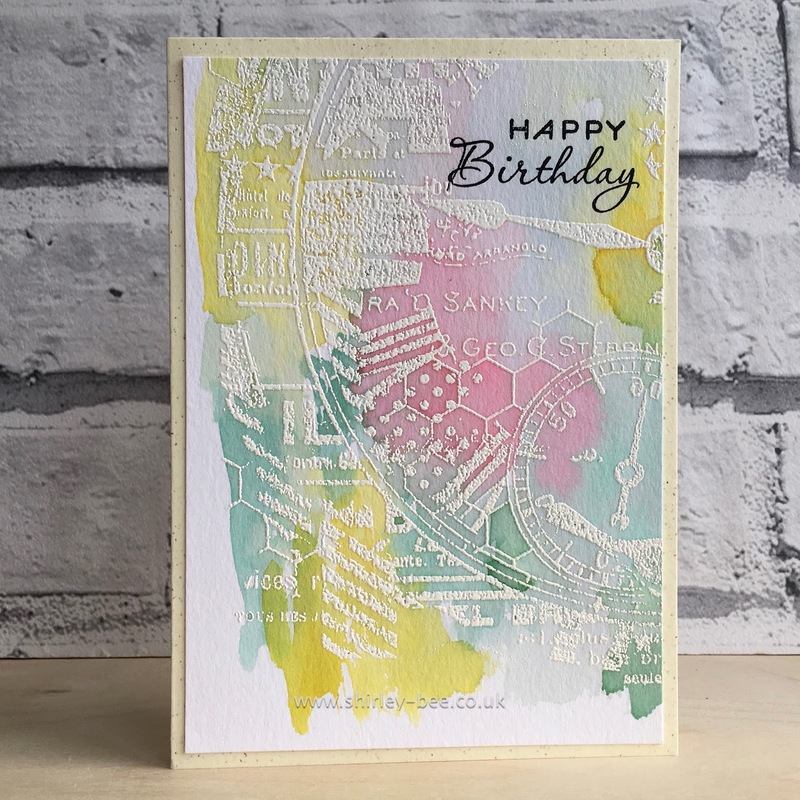 The white embossing and the watercolor background are gorgeous! Hi Shirley, I maybe a bit late, but I love the soft colors that you used on this card. The large stamp done with white embossing is too gorgeous. It maybe easy, but it is elegant. This is absolutely stunning! Love the watercolour background... and I love the funky stamp too!